Tracy was absolutely fabulous. She is so knowledgeable about birth that I felt able to relax and focus on laboring rather than needing to monitor or manage the process. Her bodywork, encouragement and support helped me have a comfortable, unmedicated natural birth. Darby S.
Tracy really went the extra mile with us. She wanted us to feel ready and comfortable and spent a great deal of time with us answering our questions. After the birth, she was a calming force in the recovery room and was very helpful making sure the breastfeeding was started correctly. She was wonderful! Daniele O. Could not have had the natural birth I wanted without Tracy's support during labor. 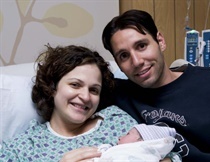 Lindsey M.
Tracy was a wonderful support to us both during my pregnancy and during my labor and birth of our first child. She hooked me into a network of compassionate and skilled prenatal caregivers and answered my many questions. During the birth, she was encouraging and supportive of my birthing instincts and was ready with her expertise in some tense moments. She communicated smoothly with hospital staff and with my mother! Hopefully she will be there to welcome all of our babies! She was the best. Carmen D.
First of all, I love that Tracy took "notes" along the way, so when all was said & done, we had a clear picture of what happened when. Otherwise, it would have been a blur! Tracy was so easy to "be" around. I never felt uncomfortable, even at my most vulnerable state. She was the "safe place" and made us confident in our decisions. Kristin B.
I had no idea she took so many pictures and detailed notes of everything - such a wonderful surprise to look back! Rebecca B.
Tracy's support prepared me exceptionally well for my birth. My husband and I felt her one-on-one teachings were invaluable. Her presence, support and excellent encouragement helped me feel powerful as a life-giving woman. The presence of a doula is indispensable for us for our 1st birth and future ones! 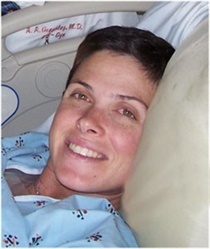 Also, tracy helped us navigate the hospital process, which helped make our experience simply amazing. Caroline W.